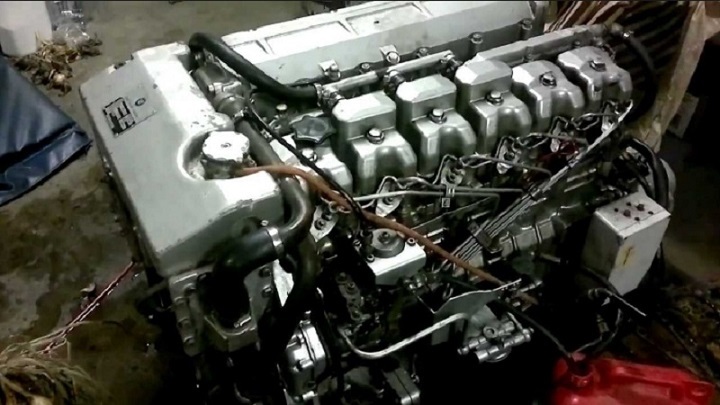 The process of how a diesel engine works is quite fascinating. The diesel fuel itself is a petroleum-based fuel that contains three essential hydrocarbons that go into the cylinder of the engine. But first, air is pulled into the cylinder of the diesel engine and gets compressed. Then you spray the diesel fuel into the cylinder while it is still under high pressure. After that, an ignition will take place because of the cylinder’s high temperature while in a compressed state. This is what is known as “thermal energy,” which is energy produced from the heat that gets generated in the engine. It is important to have thermal efficiency in a diesel engine in order to determine the amount of heat that is being generated and how much of that heat is being used for energy. If the majority of the heat is being used for energy by the engine then this is what’s known as high thermal efficiency. On the other hand, if there isn’t enough heat or if there is little energy being produced from the heat then this is low thermal efficiency. At this point, you would have to put more diesel fuel in the cylinder of your engine in order to generate more heat and produce more energy. Therefore, the higher the thermal efficiency is in a diesel engine, the lower the fuel consumption will be. That is why people who use vehicles with diesel engines need to pay attention to how much thermal efficiency they are getting. Diesel engines are normally used with large trucks because it reduces their operational costs and allows them to run longer. Out of all the biggest internal combustion engines, diesel engines are by far the most thermal efficient because they consume less fuel than any other internal combustion engine. This can be attributed to the diesel cycle of the engine which has a much higher compression ratio for generating heat. Since diesel fuel burns slower than normal fuel, this high compression is necessary for producing enough heat to ignite the fuel. Thanks to modern technology, there are now turbo-diesel engines being placed in large vehicles that have an electronically controlled fuel injection system which increases thermal efficiency even more. At low engine speeds, the engine’s torque increases from its new turbo-charging ability. Compared to gasoline engines, diesel engines take more advantage of the heat that is produced. With gasoline engines, they reject about 75% of the heat energy that gets produced from gasoline. This heat gets taken out of the car through the exhaust gasses that come out of the tailpipe. If a bigger vehicle were to use gasoline like this then it would need a lot of fuel in order to generate the necessary amount of heat to power it. That is why diesel engines are so much better for thermal efficiency than gasoline engines are.